Commercial LED luminaire with flat frame, combining high power LED with dimmable driver and a high grade square aluminum trim. 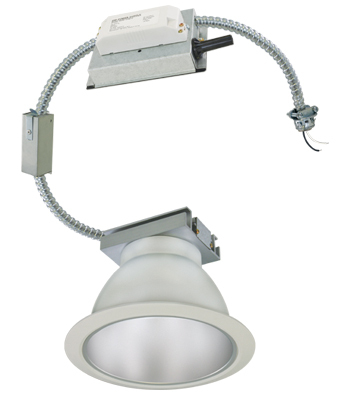 The luminaire reduces operating costs and provides maintenance-free operation. Galvanized steel flat frame. Maximum extension by 25" allows excess distance between joists. Integral thermal protector, disconnects if insulation is detected. Extruded aluminum heat sink to facilitate heat dissipation and reduce LED junction temperature. Integral LED driver thermal protection to sense over temperature or improper installation. 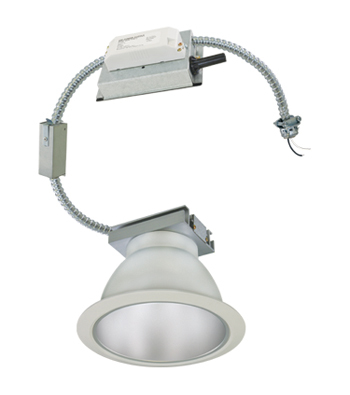 Enclosed quick disconnect allows for easy installation of the LED engine and reflector. Suitable for use in damp locations.